Blizzard should really just clarify somewhere that taunting stealthed minons does nothing rather than remove stealth. 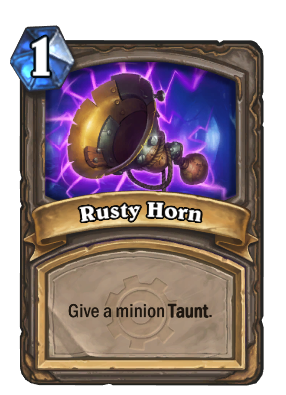 Although you usually put this on your minions, you can put this on your opponent's minions to allow you to attack them despite having another taunt up. You could attack that flametongue that is buffing that sledge blecher, Or if you have Black night, show Ysera who is boss. I didn't know The Black Knight was into jazz. The noise this makes when summoned, just ugg makes me want to punch someone in the face..... I guess that's why it gives taunt.